Former Ghana defender Samuel Osei-Kuffour says it will be "incredibly difficult" for Nigeria to reach the World Cup knockout rounds, but adds that the nothing-to-lose attitude could work to their advantage. 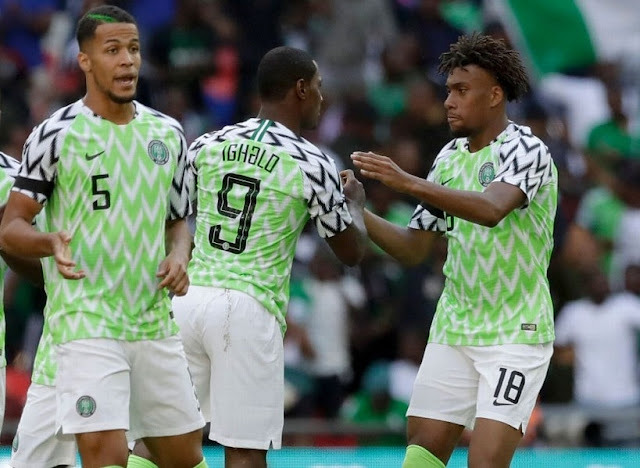 The Super Eagles find themselves in a tough Group D which also features Argentina, Iceland and Croatia, who will be their opponents in Saturday's opener at Kaliningrad Stadium. Argentina's star players are the whos-who of international football, but Croatia themselves have some household names like midfield duo Luka Modric (Real Madrid) and Ivan Rakitic (Barcelona), along with Juventus striker Mario Mandzukic. It means Nigeria have been given little chance of escaping their group, but former Bayern Munich man Kuffour feels the "nothing-to-lose" attitude could work in the Africans' favour." Nigeria traditionally have thrived in major tournaments, but their biggest difficulty will be getting out of the group," Kuffour tells Kwesé ESPN. "Croatia have some of the best individual players playing at a very good level in Europe, and they have an Argentina side who in addition to all those fantastic players have Lionel Messi. That for any team is a big challenge. "It will be incredibly difficult for Nigeria to escape the group, but it works to their advantage that they have nothing to lose." Nigeria will go into the game on the back of a wretched pre-tournament run, but star man Victor Moses has previously said that the confidence is high in camp and that the Super Eagles can achieve great things.